After nearly two years of uncertainty, the controversial decision by South Central Strategic Health Authority to fluoridate our water was examined in court. The Judicial Review sought by local Southampton resident Gerri Milner was heard at the High Court over two days last month. It wasn‘t just the SCSHA‘s decision that was in the spotlight—also questioned was the wording of the government guidance which enables health authorities to fluoridate water supplies. Outside the High Court, London. On Friday 11th February Justice Holman announced his judgement. Although expressing his sympathy with those opposed to having their water mass medicated, he could not uphold the claim that the SHA had acted illegally. This was because the legislation approved by Parliament gives power to Strategic Health Authorities to implement fluoridation schemes without public support. He added that all the SHA had to demonstrate was 'due regard' to public opinion. The SHA maintain it has done this despite 72% of consultation respondents who were opposed to the plans. 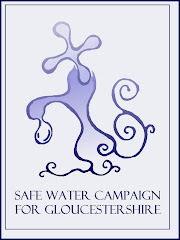 The other ground of the claim was whether the SHA had considered the 'cogency' of the arguments against fluoridation. Again, they said they had and this was enough to satisfy the legal requirements. The legislation enabling SHAs to override public opinion means that even if 100% of consultation respondents were against the scheme, the SHA could still go ahead! Clearly the assurances given by ministers in Parliament that local support was vital are meaningless. The ruling makes clear that the SHA is legally able to impose fluoridation on the people of Hampshire, come what may. Basically the NHS spent nearly a million pounds on a sham consultation and a legal case when it had already decided that water fluoridation would go ahead regardless. No wonder the judge was sympathetic to opponents! 2) they hadn't read the small print and didn't know exactly what they were voting for. There is no other situation in legislation where total control is entrusted to a non-elected body - to the point where even the MPs who passed the law are powerless to influence their decisions. It is hard to believe that most MPs who voted in favour of the Water Bill (2003) did so in the knowledge that they were denying themselves a say on the subject in future. If you are concerned by this, please write to your local MP and councillor and COMPLAIN. It is also worth writing to the SHA—the more letters they get the better. In a statement after the ruling, the SHA said that they 'remain satisfied that water fluoridation is a safe and effective way to improve dental health' adding that it 'will now be considering its next steps.' This is somewhat less forceful than previous statements in which they have insisted that water fluoridation would go ahead as soon as possible. Perhaps the fact that the SHA will be abolished next year now means that implementation is uncertain. With the transfer of fluoridation responsibilities to local Councils—all of whom object to the scheme— it would be absurd for the SHA to proceed. The leaders of Southampton and Hampshire Councils have vowed to fight any move by the SHA to implement the scheme. The Judicial Review ruling does not just affect the Southampton area. Other SHAs in England may now consider it the right time to undertake their own consultations knowing that legally they too can safely ignore local opinion. As a result of the publicity surrounding the Judicial Review, HAF has received support both locally and from around the country. THE FIGHT CONTINUES. HAF is currently considering what we can do next and already have various ideas. Email correspondence between the Department of Health, SHA and PCT, referred to during the court case revealed that key SHA and Southampton PCT staff knew that the provisional results of the national survey of five year-olds dental health suggested that the decay rate had substantially improved (to 1.2dmft with 70% of children decay free) and were BETTER than the national average. The emails (obtained by Ms Milner‘s legal team) also reveal that details of the new figures were withheld from the SHA Board. This meant that their decision was based on inaccurate figures. The argument was that the survey data had to be 'cleaned' and might change. In fact the final figures - which were also adjusted to account for non- response - were 1.13dmt with 69% of five year olds decay free. These final figures were available the following month. Given that a major argument for introducing water fluoridation was that dental health in Southampton was worse than the national average, SHA Board members and the public should have been made aware of these figures—even if they were only provisional. Right from the start of the consultation Hampshire Against Fluoridation argued that dental health was improving in Southampton - but our arguments were ignored. Also there were concerns within the SHA about using the figure of 25% benefit as a basis for the economic analysis. Despite these concerns (and those of the analysts, HAF and HCC) the SHA consistently chose to represent the benefit as being substantial and supported by the economic analysis. But the analysts only used this figure as they were told to by the SHA. HAF was very critical of the economic analysis but our concerns were dismissed. CANADA: On 8th Feb Calgary City Council voted 10-3 to end 20 years of fluoridation. The combined efforts of informed council members and citizens coupled with good reporting from the Calgary Herald produced this stunning victory in a city of over one million. This follows the removal of fluoride from two other Canadian cities – Windsor and Gatineau – last year. USA: In a surprising move last month, the US Department of Health and Human Services recommended lowering "optimal" water fluoride levels to 0.7 ppm from 1ppm (the level that is pro- posed for Southampton) to decrease the epidemic of dental fluorosis afflicting over 41% of adolescents aged 12-15. However, even at 0.7 ppm, an infant using fluoridated water will still consume up to 175 times more fluoride than a breast-fed baby. Earl Howe, UK Minister of Health responding recently to a question by Earl Baldwin in the House of Lords made the following statement: "we will be carefully considering the Department of Health and Human Services' proposals for the USA and the outcome of its consultation, to decide whether any changes should be made to the target concentration used in England." 'I have always taken the view that this is something that should be decided locally and I don‘t believe in compulsory fluoridation of water'. (David Cameron, January 2010). 'It is the Government‘s policy that no new fluoridation schemes should be introduced unless it can be shown that the local population is in favour. '(Department of Health, February 2009). BUT.......... Parliament passed the legislation that enables health authorities to bypass the opinions of MPs, councillors and residents on the issue of fluoridation. The current regulations, recently upheld in the Judicial Review, MUST be scrapped and that is why pressure on MPs is so important.